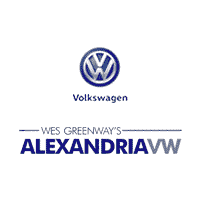 At Alexandria Volkswagen, we want you to find the right vehicle for you and your budget. When it comes to buying a Volkswagen, even used, you can find everything you’re looking for in an affordable used car under 10k. Browse our inventory to find your favorite pre-owned Volkswagen and search our used vehicle specials to make your purchase even more affordable. No matter whether you want the Volkswagen Tiguan or the Volkswagen Beetle, you’re bound to find something you’ll love. Contact us today to learn more or to schedule a test drive around Arlington. Get behind the wheel of the used Volkswagen you’ve been eyeing at Alexandria Volkswagen. Apply for financing online to get pre-approved before making the getting behind the wheel in a new-to-you Volkswagen easier and more affordable. Learn more about our models, our offers, and even our dealership when you contact us today!